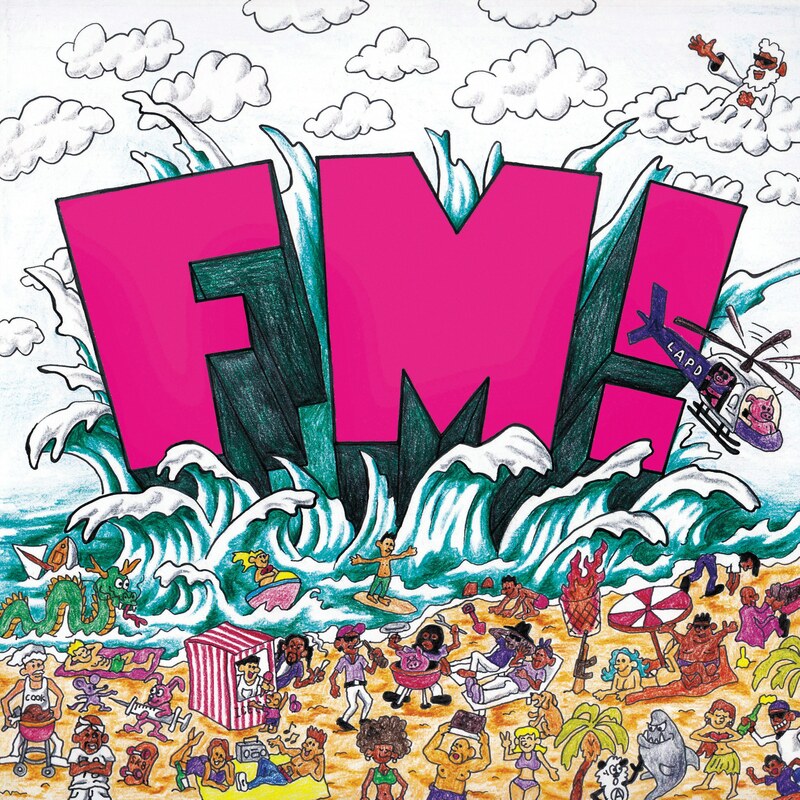 Vince Staples returns as strong as ever on his third major label album, “FM!,” which was released Nov. 2 through Def Jam. From the cover to the album playtime, the rapper’s success continues with his varying flows and arrogant personality on tightly produced trap beats, all with a west coast flavor to them. Themes of gang violence, west coast culture and police brutality all make a return for Staples, but they sound refreshed over the style of beats and constant flows. Through eleven tracks, the album only spans slightly over twenty-two minutes, making this his shortest major label album. His 2017 effort, “Big Fish Theory” runs about 36 minutes. Staples follows in the footsteps of other popular rappers in 2018 by releasing short, high quality projects labeled as Long Plays with the play time of an Extended Play. Pusha T, Kanye (twice), Action Bronson and Nas have released projects that have similar lengths in time. The title “FM!” refers to the execution of the album as a whole. The album plays as a continuing radio broadcast from a west coast radio station hosted by Big Boi, a popular radio host. Staples heavily details his view gun violence in the U.S. with many examples that flow nicely in the context of the radio station. Like in the track “Outside,” where in the previous radio transmission you can hear the broadcaster telling the listeners to go outside. He then raps about kids playing with guns outside. There are several breaks in the music at the start and end of tracks like “Feels Like Summer” and “Tweakin’” that give the illusion that you are listening to a radio station in the summertime. The radio show comes through at its best when the tracks are listened to in the correct order, but the full tracks sound great even without the context of the abum. That is maybe the hardest thing to do when constructing a concept album. The three skits take up two minutes of the album’s run time and are vital to the album’s concept. “New earlsweatshirt” and “Brand New Tyga” shows the featured rappers playing “new” music on the radio. The beats are incredibly poppy and could both find themselves on popular radio in 2018. What’s funny is that earlsweatshirt would never normally rap over the kind of beat on his track, but Tyga certainly would. It is a well thought out move made by Staples. Production for “FM!” was largely handled by producer Kenny Beats, who has been making a push for his name in the mainstream with quality beats coming out consistently in 2018. The quality expected from Kenny lands perfectly. The bouncing and moving basslines on almost every track give the opportunity for catchy choruses, which there are plenty of. Tracks like “Fun! (feat. E-40),” “Relay” and “No Bleeding” have irresistible choruses that are executed nicely. No chorus on the album is repeated more than three times, giving the chance for lots of musical ideas to be explored in a short track while still being catchy. “No Bleedin” is a standout on all terms. The simple line, “Head on a swivel, no bleedin me,” is repeated over and over and further follows the theme of bouncy beats with a catchy hook, while still keeping the lyrical content his fans are used to. Like every full track on “FM!,” Staples is at the top of his rap game, giving constant flows and only letting up for air or a guest feature. If there is a track where the violence, solid production, brevity, catchiness and delivery of vocals gets portrayed the best, it’s “No bleeding” for sure. A full listen through “FM!” will have you wanting more instantly. The jam-packed quality over the span of 22 minutes is extremely impressive for an artist of any genre. In a time where music listeners are the most unattentive ever, a short, very easy to listen album is the absolute best way to get listeners to digest the whole project chronologically. Although it was released in early November, this album will make it feel like summer wherever you are, whatever time it is.